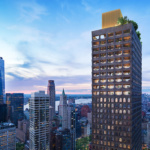 Adjaye Associates and developer Lightstone have released renderings of 130 William, a condominium tower a few blocks from the Brooklyn Bridge in lower Manhattan. 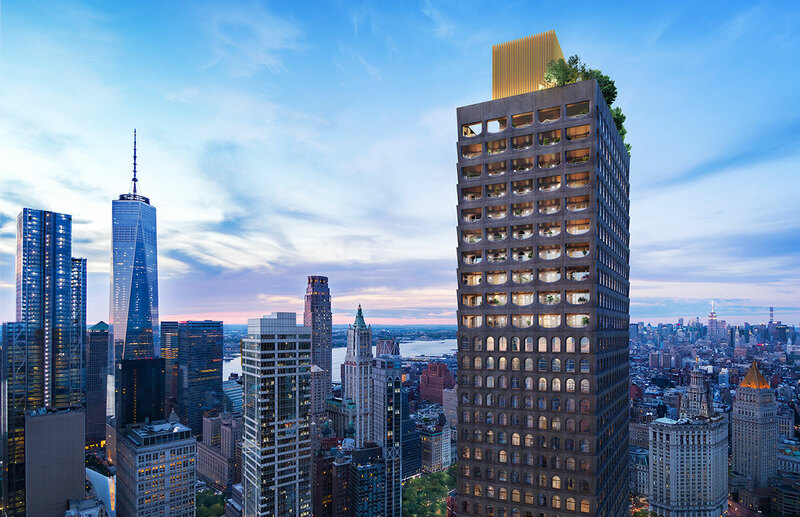 The 66-story structure will be the firm’s first big New York City project. 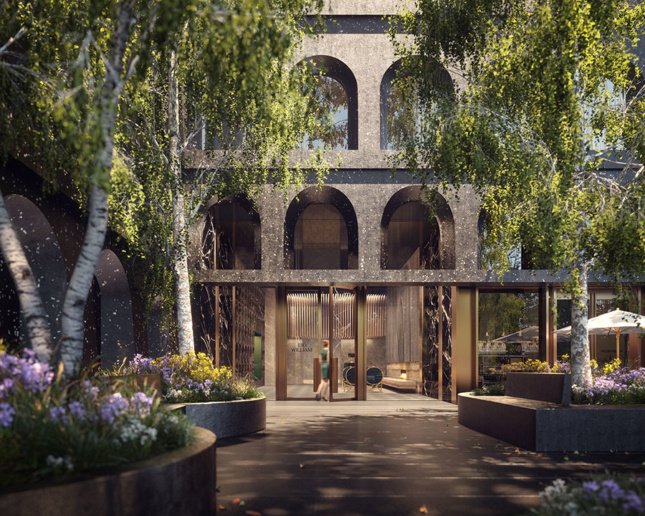 All in all, the project’s cast-concrete facade will shroud 244 luxury residences. 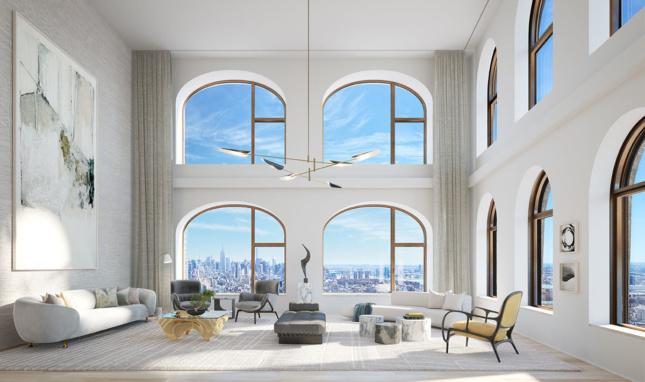 The round arch windows, a nod to 19th-century industrial buildings below 14th Street, get wider and longer as they progress to upper stories. Up at the very top, the penthouse sports double-height ceilings that frame some of the building’s loggias, which are detailed in bronze. 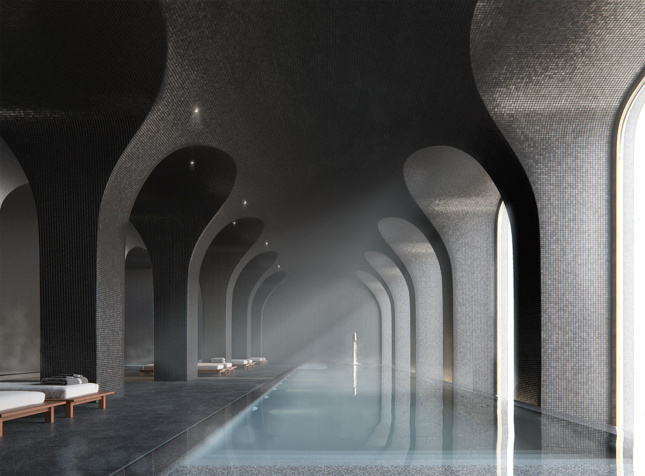 A Baths of Caracalla-y pool and spa, as well as a fitness studio with a basketball court, are included in the amenities package. 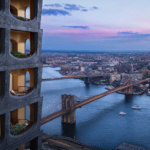 The 800-foot-tall building will also have an IMAX theater to entertain residents, a pet spa to keep their animals clean, a private rooftop observatory deck, and a golf simulator, among other goodies. With all these fun things at home, tenants hardly have to leave the premises, but if they do, they will encounter a street-level plaza where they may mingle with the public. Adjaye Associates, the eponymous London firm founded by Sir David Adjaye in 2000, is perhaps best known in the U.S. for its National Museum of African American History and Culture in Washington, D.C., which was completed last year. New York’s Hill West is the architect. Construction has already begun, and sales for the studio to five-bedroom homes will commence in spring 2018.